Happiness and joy – I finally made something fringe! I admire my pal Kelly over at Studio DIY‘s magical wicked awesome fringed wonders all the time – I pin them and drool over them and say, oh yeah. I’ll make that – but never get around to it! 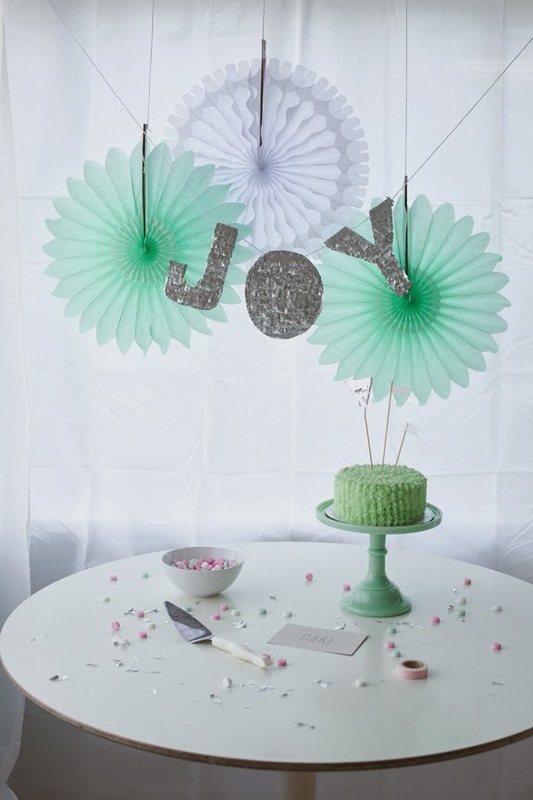 My peppermint party for Minted seemed like the perfect opportunity to make a silver fringe letter garland – since I’m nuts about lettering and typography, too. 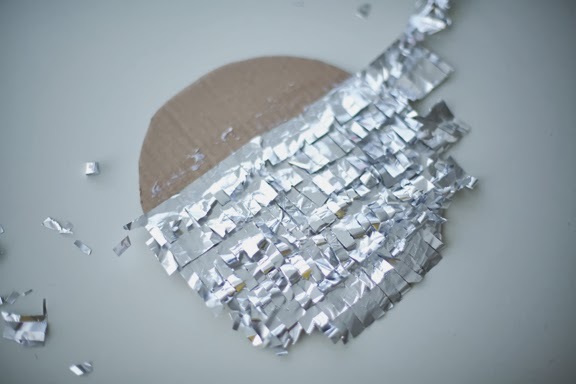 Plus, I’ll let you in on an easy breezy supplies secret – (also known as: didn’t have time to source silver mylar) – I used regular old tin foil and some recycled cardboard to make it. 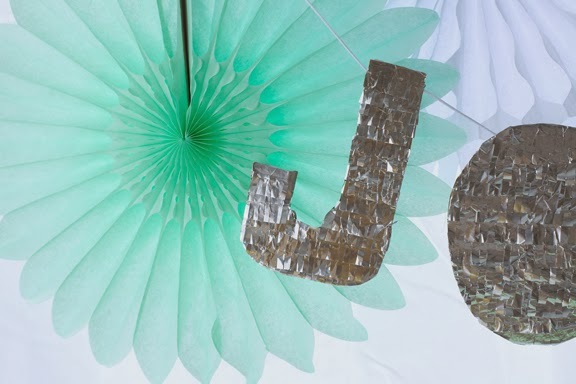 You can find everything you need to make this super cute JOY letter garland in your own home, bringing some wordy sparkle to your holiday this year. 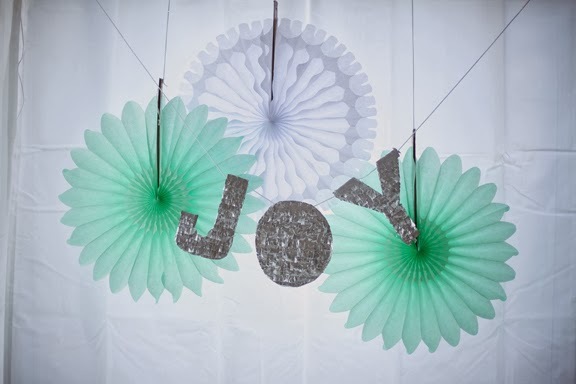 I was also inspired by the insane in the membrane crafty awesome Jenny over at Hank + Hunt – I saw her super cute LOVE letter garland and I… loved it. Hee! Here we go – get into the garland party zone! 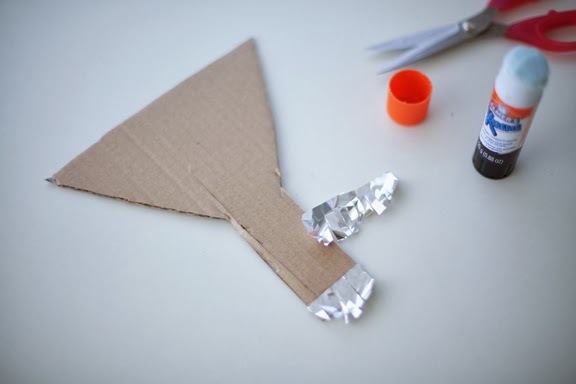 Tin foil, cut into strips – I cut mine into 1 inch tall strips. 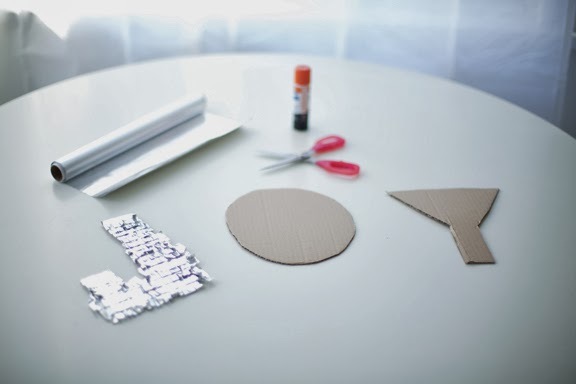 Step One: Cut out your letters from cardboard. I freehand drew my letters onto the cardboard – if you wanted a particular font you could always print out large letters off your computer, trace onto cardboard and work from there. My letters are about 8 inches in height. Step Two: Cut strips of tin foil off in 1 inch high strips. Start fringing away your strips – snip snip snip! Approximate the length across the letter you’re working on and cut to the general size. Note that the tin foil has one extra shiny side and one more matte side. 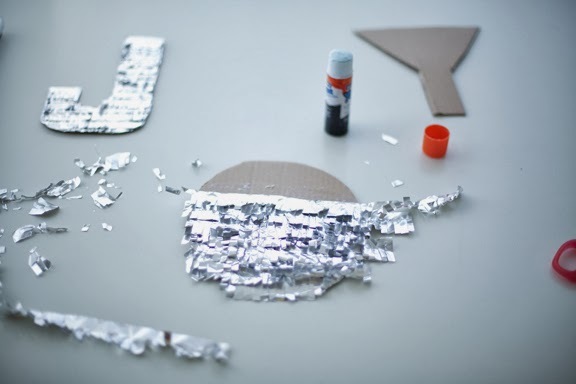 Glue down your first fringed tin foil strip, shiny side up, at the bottom of the letter and work your way up. 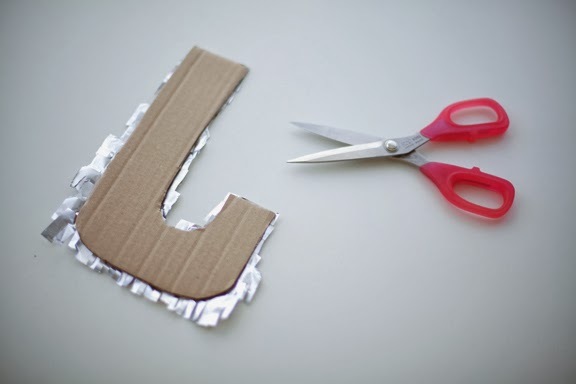 Don’t worry if your tin foil fringe length is too wide for the letter you’re working on – you can trim it up later. Pretty fringey bits! 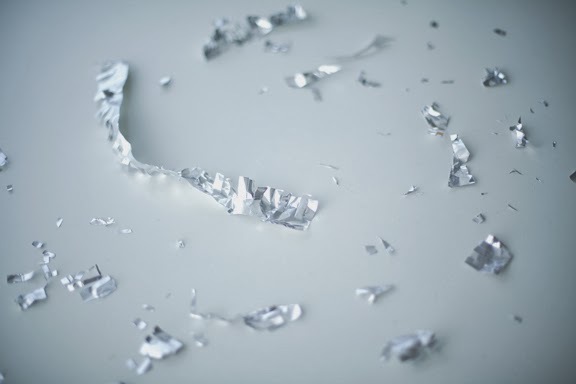 You can save this for table confetti if you like – so shiny! Step Three: Turn your letter around. 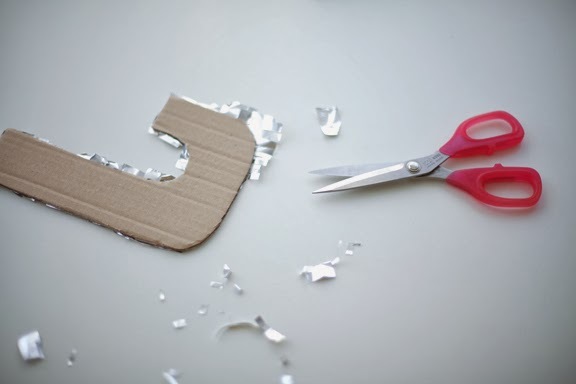 Trim away the excess tin foil along the edge of your letter to regain the shape of your letter. Oh joy, you finished! Yay! In the end I decided to cut a triangle V out of my letter “Y” to make it look more “Y”-like. Then I had a fringey little triangle shape, so of course I turned it into a cake topper. 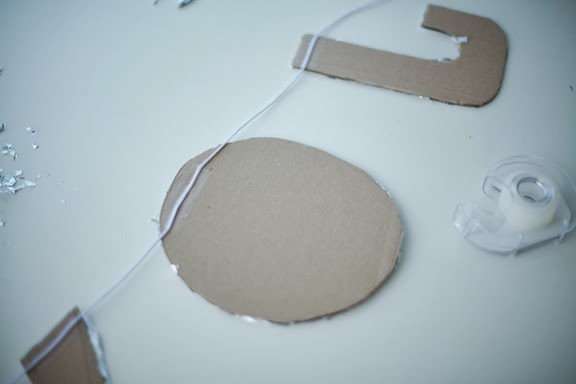 Step Four: Turn your letters over and adhere it to a nice piece of string or twine using good old scotch tape. 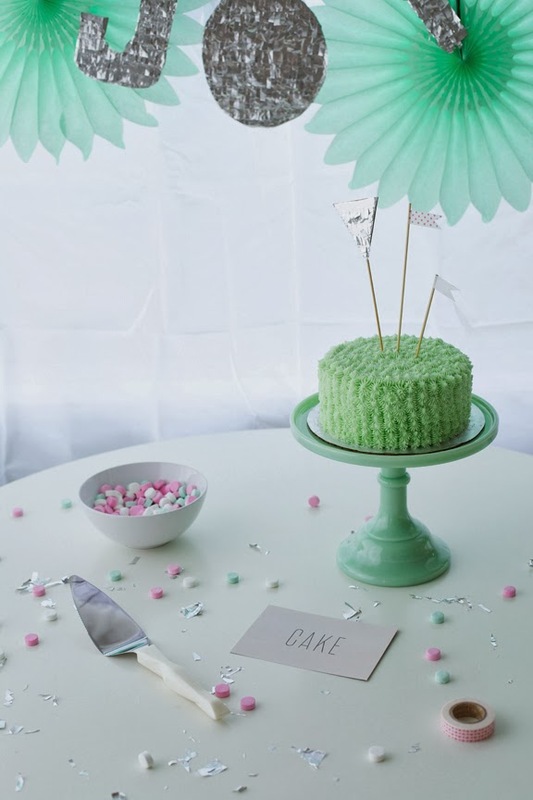 Minted has these ridiculously adorable and insanely easy to use tissue paper fans for sale that add so much cuteness to your party set up in literally twenty seconds. 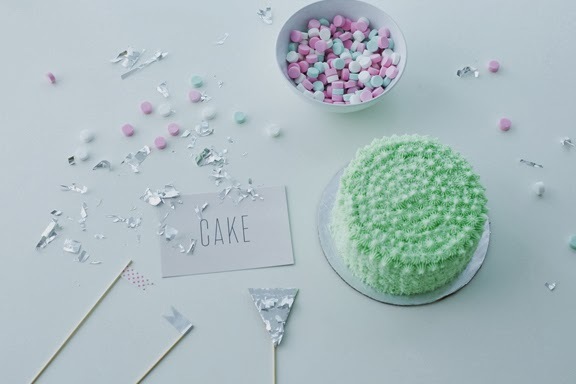 If you are familiar with my party design style, I like a simple mix of modern, vintage, DIY and playful. 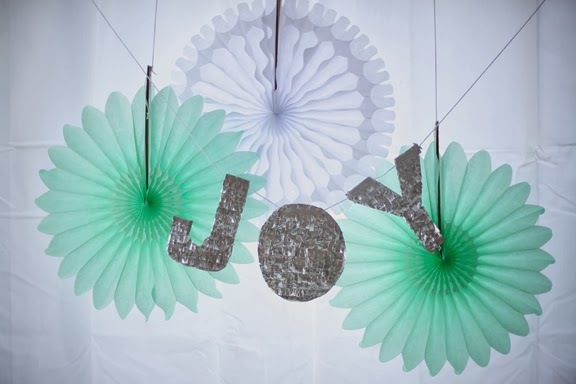 The tissue paper fans did the trick as a sweet backdrop for my JOY garland. 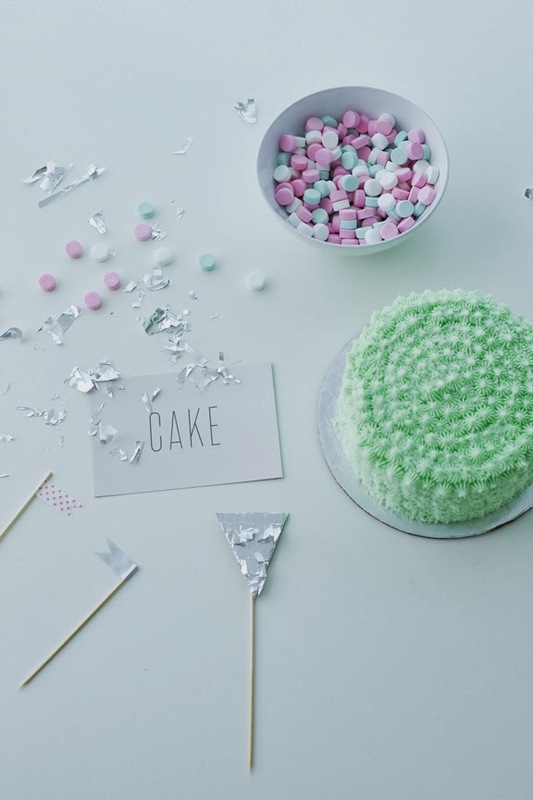 It wouldn’t be a Coco Cake Land party without a cake! 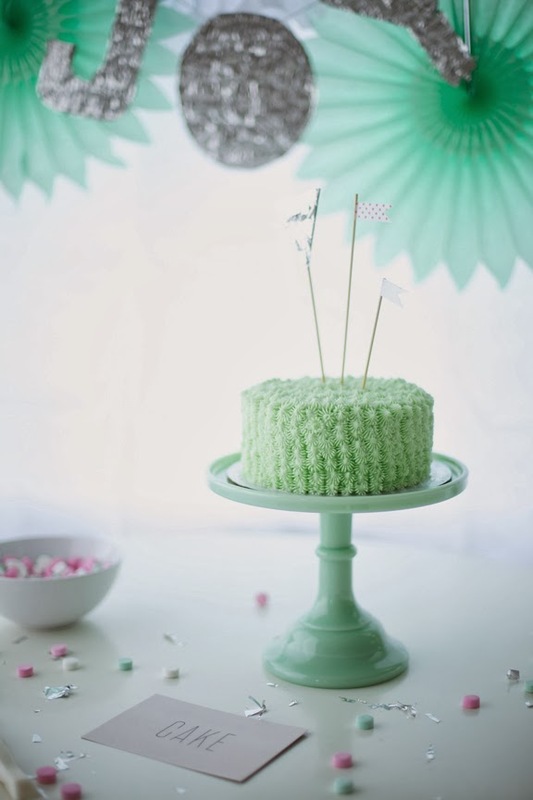 I made a chocolate cake with mint green peppermint buttercream piped in a vintage style. That “V” shape? I taped it onto a wooden BBQ stick and BLAMMO – cake topper! 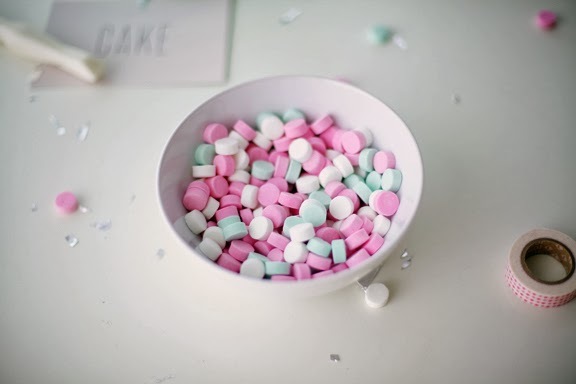 :) I found those pretty pastel scotch winter mints in the bulk section of the grocery store. 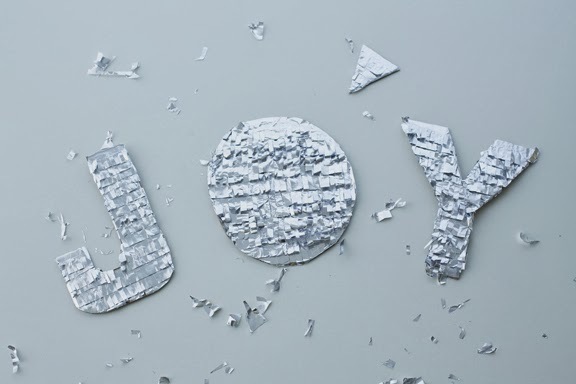 Minted makes the cutest custom holiday cards probably ever! Love how my card turned out with my little T-man. It was so easy to make, too – go internets go! Ah, DIY love! 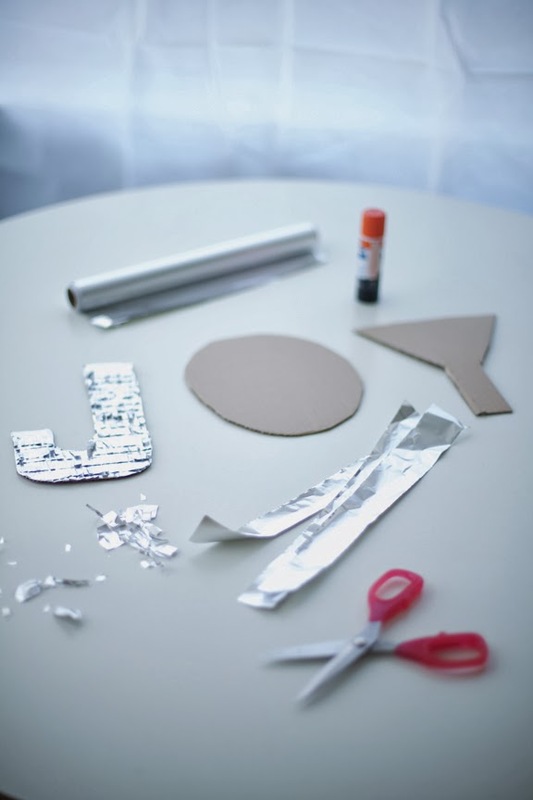 What word(s) would you make into a shiny silver letter garland? That was fun – see you soon, cake pals! This post was sponsored by Minted.com. 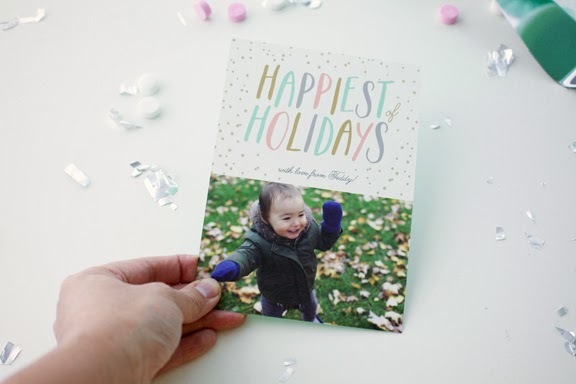 Order your Minted holiday cards now – total cuteness awaits! 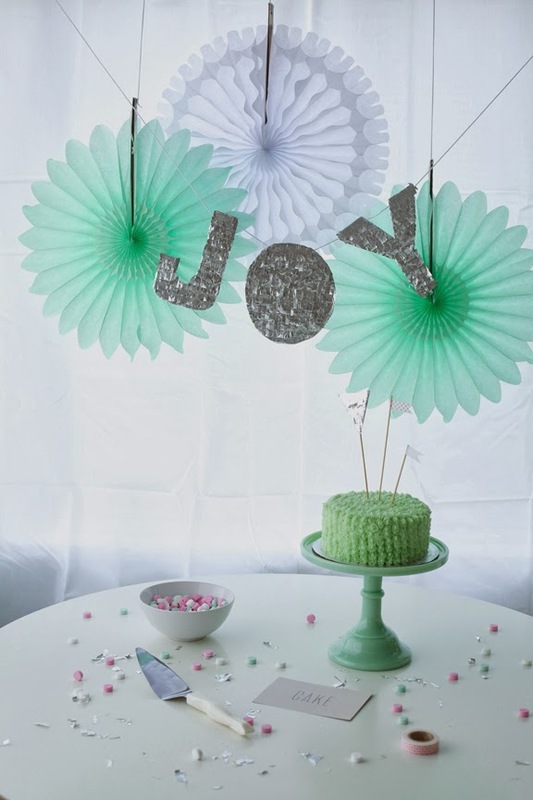 Tissue paper fans, cake stand, little cake sign and holiday cards also provided by Minted. All opinions expressed are my own – yes, I do love Minted! Tinfoil! You are brilliant- love it! Yum i love peppermin! Pretty Lyndsay!